Tablet Computers or widely popular as Tabs seems to be quite in action these days. It’s raining tabs these days. Almost everyday we witness launch of a new tab. However, few years ago when Apple launched Apple iPad, people were not sure of the future of tabs but still appreciated the fact that this will be something big. Now, if you are someone like me, you must be thinking that tabs are too costly for the value they add at a heavenly cost of more than Rs.25000. So, we present you, 5 real affordable tabs. 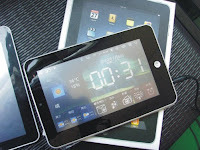 The UbiSlate7+ is an Android 2.3, 7 inch touch screen tablet with HD video co-processor and core graphics accelerator. It offers DataWind's UbiSurfer browser, based on 18 international patents. The UbiSurfer browser supposed to accelerates web browsing experience. Comes with Wifi & GPRS, if you were expecting 3G, this might disappoint you but Optional 3G modems are also supported via USB. The price will definitely cheer you up, which is just Rs.2999. 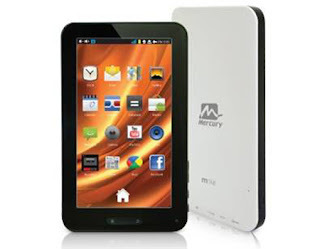 Mercury mTab comes with Android Gingerbread v2.3, Triple Core Processor & 7” inch Touchscreen. It has a 4GB Memory and expandable upto 32GB external memory. Wifi & bluetooth connectivity and Supported 3G Data Card (external USB modem) and is priced at Rs.9499. 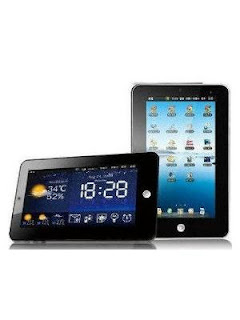 Wespro Tablet 786 with 3G is a Tablet phone weighing 390g & 7 inch touch screen. The phone operates at frequencies of GSM 850 / 900 / 1800 / 1900 MHz. The Phone has a Display of 7 Inches, Touch Screen LCD Color Display. This model comes with Built-in Camera, VGA 300K Pixels with , Digital Zoom. Has a VIA WM8650 800MHz processor and woks on Android 2.2 OS. Comes with internal memory of 2GB Nand Flash & expendable upto 32GB. Comes at a decent price of Rs.5499 considering the features. 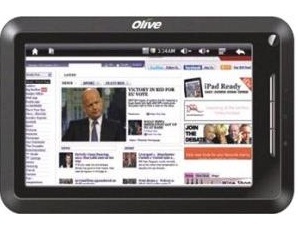 Olive Pad VTR200 has 7 inch TFT Resistive Touchscreen & Aspect Ratio - 16:9. This model comes with VGA Camera (Front Camera) - Optional with Digital Zoom. It has internal memory of 2 GB Flash & expendable upto 32 MB. Comes with 1.0 GHz processor and works on Android 2.3 Gingerbread OS. Comes at an attractive price of Rs.3899. 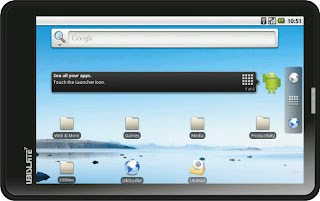 Micromax FunBook is a 7 inch touch screen tablet taht comes with extraordinary features. It is built on Android 4.0 Icecream Sandwich Operating System and 1.2 GHz Cortex A8 Processor for faster and improved performance and an inbuilt memory size of 4GB NAND. It has multi-touch screen and pinch zoom. It also has a VGA Camera (Front) for video chat. The Internal Memory is of 4GB Nand, 512MB RAM and Expandable Memory of up to 32GB. Comes with Wifi connectivity. Comes at a decent price of Rs.6499 considering the features. 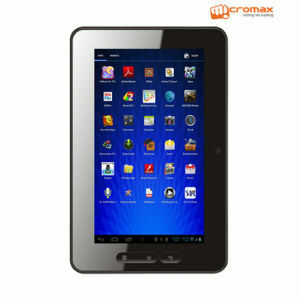 Buy Micromax Funbook.